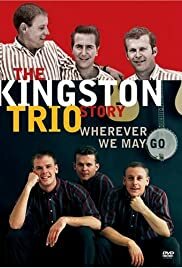 The Kingston Trio Story is a well executed documentary of the well known folk group The Kingston Trio. Exploring it's history, personnel changes and musical philosophy, this will be a pleasing addition to the library of folk music fans in general and Kingston Trio fans in particular. Included in the documentary are many clips of concert scenes, some commercials they performed and even scenes from a pilot for a rejected TV series. very well done and entertaining but be forewarned, This is not a concert video although as stated earlier, there are many music clips included. There are also some clips included from The Kingston Trio Reunion Concert which is a full length concert and also well worth owning.